Provide comfort for the family of Eric D'Souza with a meaningful gesture of sympathy. Athena and Benson, Wendy and Tina, and others have sent flowers to the family of Eric D'Souza. So very about the passing of your Dad Agnes. He was a wonderful man who will be missed by many. 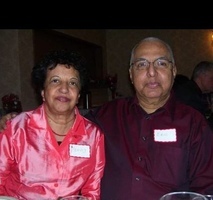 Our heartfelt condolences to Aunty Peggy, Preeti and family on the sad demise of Uncle Eric. He will always hold a special place in our heart for his welcoming nature and kind manner. A most genuine man who always had a gentle word for everyone he knew and met.